Spread the butter on both sides of the slices of bread. 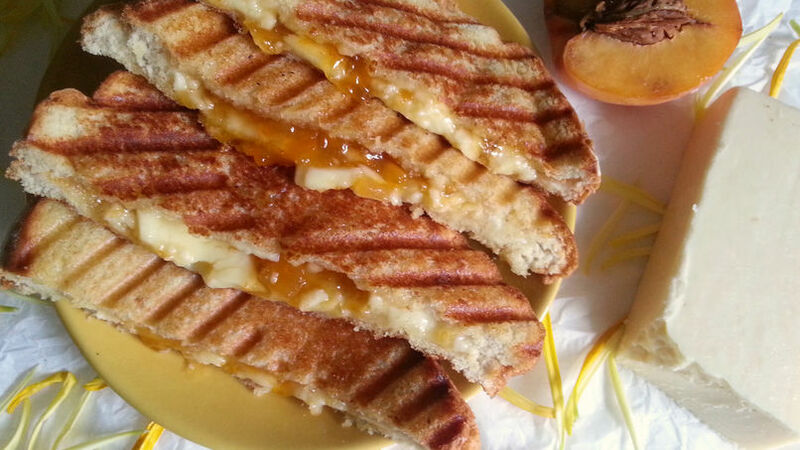 Add 4 slices of cheddar cheese and one teaspoon of jam to each sandwich. Place the sandwiches in a pan or panini press. Grill both sides and serve immediately. These are perfect for a quick breakfast. You can use your favorite jam flavor for this recipe. In our busy lives, we have to constantly be on the lookout for easy and quick recipe ideas to serve our families… and who doesn't love a good grilled cheese? It's a favorite at my house, especially when combined with different flavored jams. Today I want to share this delicious combination with you so that you too can prepare it at home. It's simple, quick and tasty.